ALBANY – Angeline M. DeLorenzo, 105, passed away Monday, May 11, 2015 at the Teresian House. Angeline was born in Albany, the daughter of the late Joseph and Catherine Catizone. She was a communicant for many years of the former St. James Church, and of the former Holy Cross Church. She enjoyed cooking and baking, and taking long walks. Angeline was predeceased by her husband Patrick DeLorenzo in 1970. She is survived by her daughter Marie DeLorenzo of Albany, and by many nieces and nephews. She was predeceased by her siblings Raphael Catizone, Elizabeth Carpenter, and Mary, James, Anthony, and Rose Catizone. The family would like to thank the staff of the Teresian House for the compassionate care given to Angeline. Funeral services will be held in the Hans Funeral Home, 1088 Western Ave., Albany, Thursday morning at 10:00. Relatives and friends are invited, and may call at the funeral home Thursday morning from 8:30-10:00am. Interment will be St. Agnes Cemetery, Menands. The family suggests memorial contributions to aid the tuition assistance program at Blessed Sacrament School, 605 Central Ave., Albany, NY 12206. 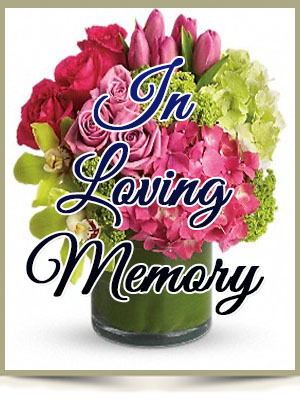 To leave a message of condolence for the family or obtain directions to the funeral home, please visit www.HansFuneralHome.com. Click here to view Angeline’s resting place in St. Agnes Cemetery, Menands, NY (zip code Albany, NY 12204). RIP Angeline. You will be missed. You’ve had a great long life. Thank you Marie for taking such good care of her. Marie- hoping you have a speedy recovery.